Hello friends all are still with me Ade prayoga. This time I will provide information about a very interesting project for you to see, in a new cryptocurrency named Daxico. Before heading into the discussion I think we all agree that blockchain technology still requires efforts that encourage adoption to continue to grow and continue to grow in the future. 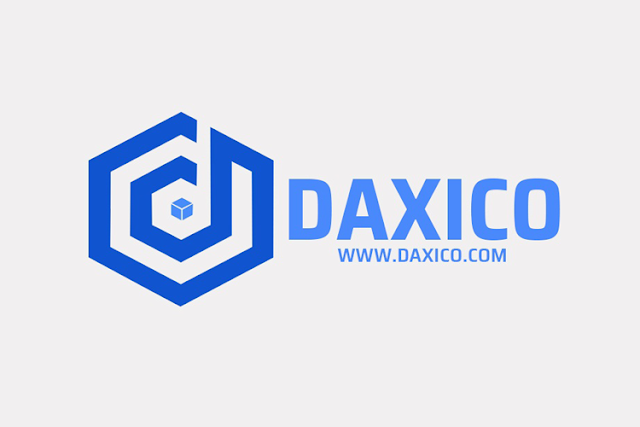 Daxico is one of cryptocurrency exchanges launched in January 2019. Their exchange platform is operating normally, you can visit it at https://daxico.com/ There has also been a decent trading volume for the age of exchange that is still new, display platform is user friendly, and not quite heavy. But don't worry if there is a problem or want to ask further, you can talk directly to their telegram group https://t.me/daxicoex or to support team. Almost like any other exchange display, Daxico website displays a blend of light blue and white, making it pleasing to the eye. There it says "FREE CRYPTO TRADING FOR THREE MONTHS" means free of fee when buying and selling at Daxico exchanges for three months, and this has already taken place, for sure this promo will end around March or April 2019. It looks simple and easy to understand so that it will make it easier for users, for a complete list of coins and pairs, you can see it on Daxico Exchange main page. Includes popular coins that can be traded there. Strong account security, with multi-account and multi-user support. You can also transfer funds to other accounts at no cost. Your account's privacy must be secure. Easy to understand platform display, as explained above. To date, members are still fairly small, because it is still the beginning. But over time as Daxico's reputation rose, members in the forum certainly rose. Like most forum features, you are free to create related topics. DAXI Token will be used to pay trading commissions at Daxico Exchange. They don't have this function yet. That means website is also in development period. But for trading use, it's smooth. Some menus are also created like building an exchange in general. This menu contains additional information or opens the opportunity for other projects to register their tokens/ coins to Daxico Exchange. Some support menus: Fees and Limits, Trading Limits, API, Liquidity, White Label, Get Listed.